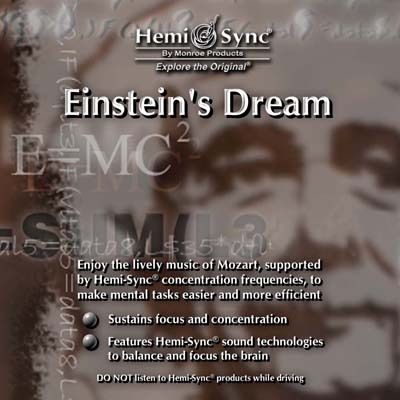 Enjoy the lively music of Mozart and the remarkable brain synchronizing effects of Hemi-Sync® with this brilliant interpretation of Einstein’s favorite music. Enjoy the lively music of Mozart and the remarkable brain synchronizing effects of Hemi-Sync® with this brilliant interpretation of Einstein’s favorite music. Einstein’s Dream can be used to enhance mental capabilities while stimulating creativity and imagination and may also be helpful for ADD/ADHD, dyslexia and other learning challenges. Interpreted and performed by J.S. Epperson.